The U.S. National Transportation Safety Board (NTSB) issued one safety recommendation to prevent possible fires on General Electric CF6-80C2 engines. The recommendation was made in the course of the investigation into the cause of an incident in February 2012. 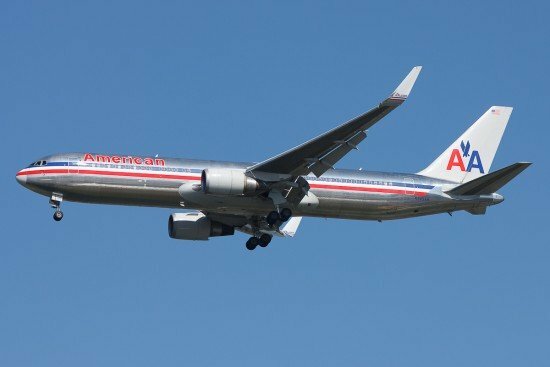 On February 8, 2012, American Airlines flight 837, a Boeing 767-300ER airplane, equipped with General Electric CF6-80C2B6 engines, experienced a fire in the right engine shortly after taking off from New-York-John F. Kennedy International Airport (JFK). The pilots stated that they shut down the engine and discharged both fire bottles into the engine’s nacelle before the fire warning was deactivated. An emergency was declared and a single-engine, overweight landing was performed at JFK without further incident. There were no injuries to the 201 passengers, 9 flight attendants, and 3 pilots on board. Investigation of the engine revealed that the two-part support bracket and spray shield of a fuel-oil heat exchanger was misassembled. This ultimatly caused a fuel leakage.